Regional concepts can expand their customer base by shipping signature foods nationwide. But logistics such as weather, quality control and the expense of packaging pose a high barrier to entry. It can be a rewarding part of the business, though, in terms of added revenue and brand reach, says Michael Wuchte, head of catering and shipping at Chicago-based Portillo’s. The chain sends Italian beef, hot dogs, ribs and tamales to U.S. customers, and business is booming: projected mail-order sales ring out to $4 million and 45,000 boxes this year. 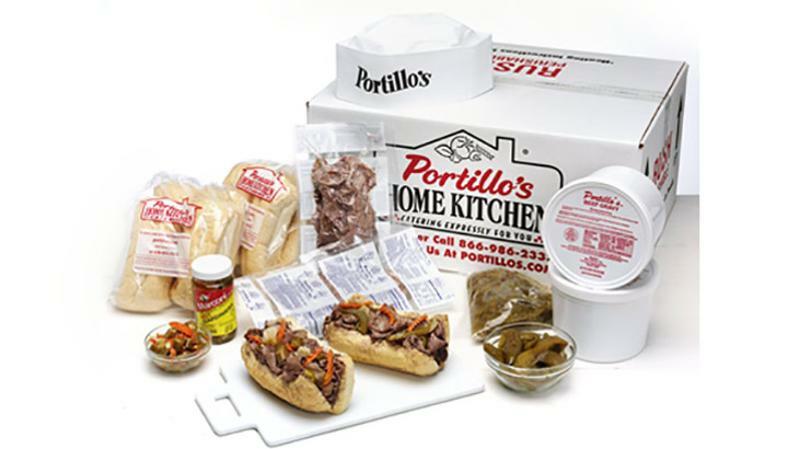 Portillo’s started with Italian beef and hot dogs, its most popular restaurant orders, says Wuchte. Boxes include traditional fixings—such as giardiniera for beef, and seasoned salt and fresh tomatoes for a Chicago dog—to replicate an authentic, in-store experience. Creating that true-to-store feel has been crucial for Kansas City, Mo.-based Fiorella’s Jack Stack Barbecue, says President Case Dorman. “The biggest thing we learned … is that you get into the marketing business and not so much a straightforward food experience business,” he says. “It’s much more challenging to get your message out.” Jack Stack initially focused on its popular ribs and brisket dishes, but has since expanded, experimenting with some higher-end items, Dorman says. Since launching in 2000, that’s included Kobe beef, Berkshire pork and lamb. Jack Stack owns the facility where food is cooked, cooled, processed, packaged and frozen. Its 20-person production team sends frozen foods to the in-house fulfillment center, where it’s packed with polystyrene, dry ice and heating instructions. Portillo’s, too, quickly decided to prep and ship from its commissary. But the packaging decisions weren’t as obvious. Wuchte’s team ordered from other local shippers to get ideas, and has since settled on polystyrene. Portillo’s also experimented with dry ice as a cooling agent, but that froze the pickles and veggies—and is considered a hazardous material, complicating shipping. The chain instead opted for gel packs, which add weight to the box, but serve as a consistent solution. Wuchte’s team sought out a shipping partner and determined a standard two-day flat rate for consumers. He says the price balances out and makes it easier for the customer. More involved partnerships can prove key for brands that don’t have the infrastructure to fulfill orders in-house. Syracuse, N.Y.-based Dinosaur Bar-B-Que dispatches orders to one of its existing suppliers. The plant handles quality control (with the Dino team checking in for consistency) for its pulled pork and chili.